The next generation of home buyers has descended upon the real estate market, millennials who have grown up in the world of digital commerce are now entering the home ownership market. As this new market continues to grow, the conveyancing industry in Massachusetts is now facing increased pressure to find ways to abandon the paper trail and instead find ways to embrace and utilize safely electronic communications for real estate acknowledgements and closings. Why is the registry so important? 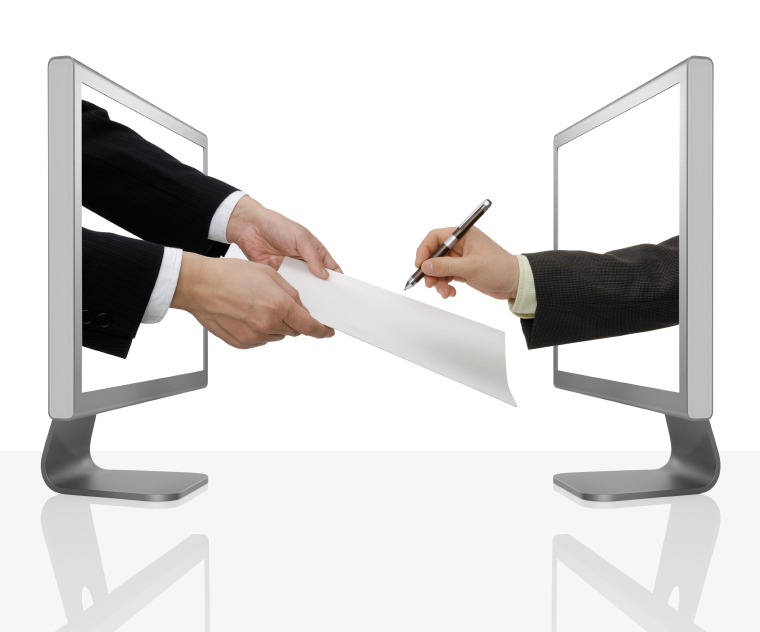 Electronic acknowledgement statutes have already been adopted in several states although some states have created a duality in the industry by separating the offices with one for regular notaries and another separate office for electronic notaries. Other states are requiring notaries to invest in expensive, sophisticated technology that encrypts the electronic document being acknowledged so it is tamper proof. These practices – a dual commission system and requiring sophisticated software of electronic notaries – exceed anything now required or expected of notaries in Massachusetts, however, the pressure from millennial home buyers is causing them to make the needed changes. The transition taking place is affecting the registry in many ways. As the number of walk-in customers continues to decrease, and the requests for electronic recording increases the need for recording terminals increases proportionately as does the need to reduce the number of public access computers. A big plus for the move is that it takes the registry less time to process electronically recorded documents than the ones who walk-in, resulting in reduced wait times for recording. The growth of electronic recording no doubt increases the registries utility and reliability, but there are still additional features that would improve on the system. For example, now when a customer clicks “send to the registry” for an electronic recording, the document package is immediately sent and the submitter has no ability to recall it in case of an error. The submitter now has to call the registry asking that the package they just transmitted be rejected due to a late-discovered error. A newer system might include a “are you sure” option and even a virtual queue allowing customers to review documents before sending them. While any concerns over electronic documents has not suppressed the growth of electronic recording, real estate professionals agree that providing customers with more detailed information would help ease any lingering concerns. The future of these technological changes is for the most part in the hands of registry users. As more and more real estate attorneys, lenders, real estate brokers and homeowners migrate to fully electronic closings, the volume of electronic real estate recordings will continue to rise, and the amount of walk-in documents and snail mail deliveries will decline even more. These changes are coming quickly, We have recently seen a battle in Massachusetts where text messages appear to be binding in a real estate contract. Still there are those in the real estate industry must keep in mind that not everyone who owns real estate has a smart phone, wants a smart phone or is even comfortable with using one for complex financial transactions. So, for those of you who want to “see ink on paper” walk-in recordings, and walk-in customer service, will always be an important part of the mission of the registry of deeds. For the next home buying generation who is pushing us all into the next era of communications, Massachusetts is ready to do business!